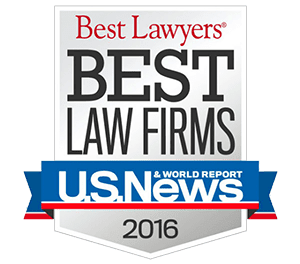 Have you been injured in a motorcycle collision in Albuquerque? You may be eligible to file a claim for compensation against the at-fault party. 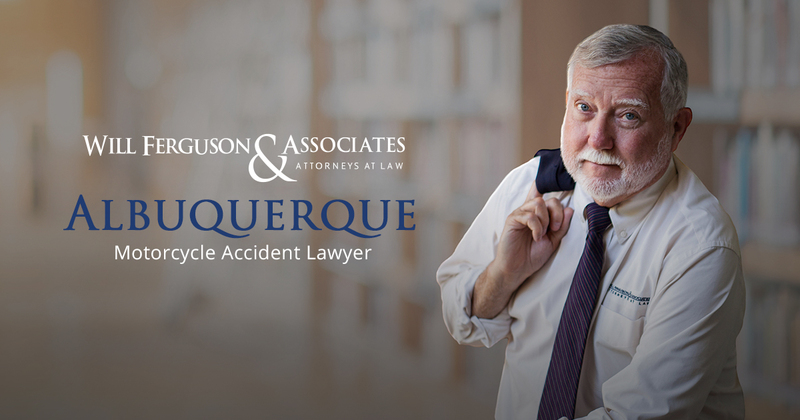 Contact an Albuquerque motorcycle wreck lawyer at Will Ferguson & Associates for help. Motorcycle crashes are known to cause serious injuries. If you’ve recently been in an accident, you probably already know this. If you weren’t the person who caused the crash, then it’s understandable that you would want some justice for what’s happened to you. Suing the person who harmed you may be the only way to recover your losses and hold that person accountable for your injuries. You need compensation so you can pay for all of the ways your motorcycle crash has affected your life. You probably have medical expenses, pain from your injuries, and missed time at work. You need to win your case to receive compensation. Injury claims aren’t often easy to win, so you likely will need some help to get the justice and compensation you’re owed. Contact an Albuquerque motorcycle accident attorney to increase your chances of a successful claim resolution. Motorcyclists must pay extra attention to hazards on the road because of the lack of a protective frame surrounding them. Safety gear certainly helps protect motorcyclists in the event of an accident, but not all accidents and injuries can be prevented. Even if you are a very safe driver, others can still injure you. What factor caused your accident will determine who you can sue for damages. For example, if you are injured after losing control of your motorcycle because of a giant pothole in the road, you may be able to sue a government road authority to receive payment for your losses. When you file an injury claim, you are likely doing so because you have financial losses that you can’t afford to cover, and frankly, you shouldn’t have to. You didn’t cause your motorcycle wreck injuries, so you should be compensated for them. The severity of your injuries will affect the type of and how much compensation you can receive. For instance, if you receive a few cuts and scrapes in a motorcycle or moped collision, but you walk away from the accident and return to work right away, you won’t likely have a lot of damages to request. However, if you suffer some broken bones and a punctured lung, you’ll likely need a lot of time off of work, as well as medical treatment. You will require much more financial compensation to even the scales, and this example doesn’t even include the mental trauma of an accident—especially one in which you’ve been seriously injured. After a motorcycle or moped crash, you are usually going to file your claim with the at-fault party’s insurance company. The thing about insurers is they’re in the for-profit sector. That means they don’t really want to pay out on claims. They want to avoid paying on as many claims as they can, or they want to at least minimize your claim’s value. One of the ways they try to minimize claim values is by laying blame at your feet. They know New Mexico is a comparative negligence state, meaning the more blame that rests with you, the less they have to pay you. For this reason, they will try to paint you as “reckless” or “dangerous,” using that untrue biker stereotype against you. You don’t have to let them get away with this. When your motorcycle collision lawyer in ABQ deals with the insurance company for you, you won’t have to worry about being tricked into admitting partial blame. You’re the victim. Don’t let them make you out to be the one who caused the accident. You deserve justice for all you’ve been through, and you likely want to hold the negligent party who hurt you accountable. Above all, though, you need and deserve to be compensated for your injuries. You will have financial losses following a crash—that’s a fact. Whether you receive full compensation for all of them depends on the strength of your claim. To win the compensation you need, your lawyer must put together a case for you using evidence from your accident. Your attorney must demonstrate what caused your collision and who’s liable. We’ll also need to prove to the insurance company the extent of your injuries and damages. How Long Do You Have to File a Motorcycle Crash Claim in Albuquerque? When you’ve been hurt in an accident, you are usually focused on your physical recovery, but at some point, you may begin considering the fact that you should file a legal claim. Some people kick around the idea for a while, but you should speak with an attorney as soon as possible. You only have a limited amount of time to file. In New Mexico, you’re only permitted to file an injury claim for up to three years following an accident. This is known as the statute of limitations for personal injury cases. If you don’t file your claim within that three-year time frame, you will likely lose your right to file and won’t be able to obtain compensation. Additionally, when you don’t file a claim immediately following your accident, your claim can lose value rapidly. After a motorcycle accident, the event is fresh in the minds of witnesses, the evidence can be collected, and your medical injuries can be documented. If you delay, evidence can be lost, witnesses can forget things, and you may inadvertently harm your case. Make sure to contact an Albuquerque motorcycle wreck attorney as soon as you can. Motorcycle crash injuries are known to be catastrophic, and your damages will likely be intense. If you didn’t cause your accident, you should be able to obtain compensation. Filing and winning an injury claim is not easy, however. This process can be challenging, but hiring an attorney can ensure that everything goes more smoothly. You need a full settlement so you can pay for your medical care and missed work wages and be compensated for any other losses you’ve faced. Help with your claim is available when you contact an Albuquerque motorcycle accident attorney. To reach Will Ferguson & Associates, fill out the form below or call 505-243-5566. Description: Will Ferguson and associates law firm is great! The justice project staff were amazing, very attentive and professional. They went above and beyond to handle my case. I highly recommend Will Ferguson and associates.